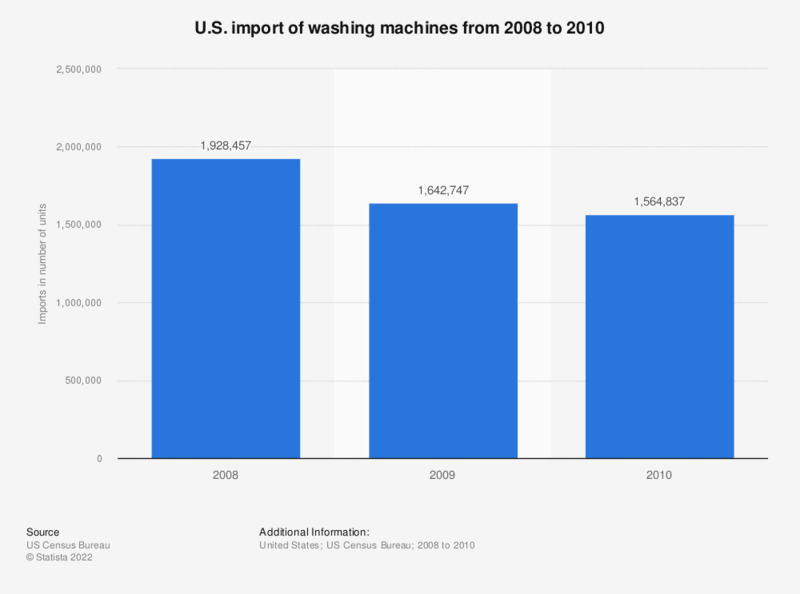 The statistic illustrates the imports* of fully automatic washing machines (coin-operated and non coin-operated) in the United States from 2008 to 2010. The U.S. imports of washing machines amounted to 1,564,837 units in 2010. Value represents C.I.F (cost, insurance, and freight) plus import duties.